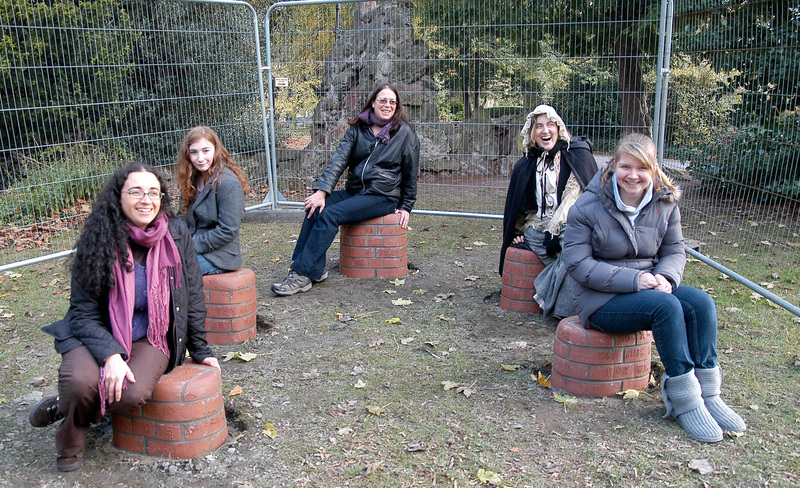 The Story Seats were created with a group of young people for Arnot Hill Park, Arnold, Nottingham. The area allotted us is used for story telling in the park, which gave us the idea to create bespoke seats. Each is essentially a shaped pile of bricks with inscriptions and extracts from our favourite books and poetry carved in. The bricks came from a local factory up the road at Dorket Head. They kindly donated the raw brick for us to carve into and fired the finished work in their industrial kilns. Thank you for the technical support and expertise given by Ibstock Ltd, particularly Mike Chapman from the Nottingham factory and Bryan Huddleston from the Walsall factory.